In the midst of a particularly hard-core workout, you're probably not thinking about the aches and pains yet to come. The ones that start to flare up when you're drenched in sweat and the shower line is unbelievably long. Or the ones you feel when you wake up the next morning practically limping thanks to extremely sore muscles. But once you get to the locker room, you'll want to make sure to break out your stash of post-workout beauty buys sure to save your stressed-out muscles and deep-cleanse your sweat-soaked skin. Regular gymgoers, this roundup's for you: From soothing muscle gels to hydrating body cloths, these time-saving products will slip right into your gym bag. There's nothing like a cooling gel after a tough workout. 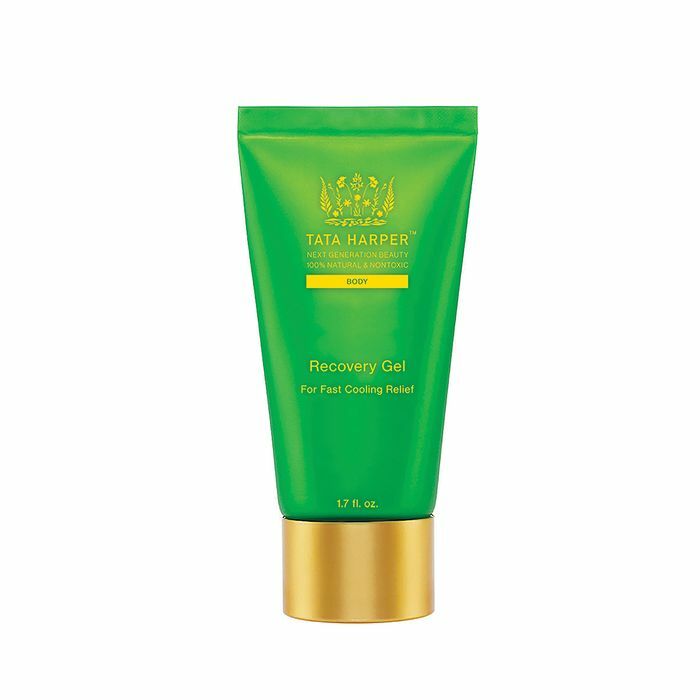 This soothing muscle gel will instantly calm tight joints with its potent blend of essential oils, shea butter, aloe, and arnica extract. Properly cleanse your skin with this 100% natural face-and-body sponge that's tiny enough to keep anywhere. This particular sponge is made of Asian clay, which stimulates skin cells and is known to help your complexion look younger over time. The brand says it best: These can "cleanse, refresh, and pamper" anywhere you go. If you don't have time to shower but need a quick freshen-up session, pop open one of these. It's made with gentle ingredients, so you can get a true deep-clean in without causing irritation. This hardworking body scrub got Sephora's clean-beauty seal, meaning it's free of harsh ingredients that are bad for the earth and your body. After your workout, pamper your tired muscles with this soothing formula made with Ren's special anti-fatigue essential oil. Are you a part of Byrdie's Serious Bathers Club on Instagram? Either way, you need to soak in this pure Epsom salt—it'll make your bath feel like pure heaven and can calm any stressed muscles. You'll be so ready for bed, so don't make any plans after this one. Intrigued by the idea of a "waterless body cleansing foam"? Same. This fast-absorbing foam vanishes almost instantly once you lather it on, and the aloe in the formula feels cooling and soothing. When you workout and sweat a lot, so much seems to stick onto your skin, right? Instead of a twist-up deodorant, go for deodorant wipes like these—they'll offer up a thorough cleanse while zapping odor in a natural, healthy way. If you do have time to pamper yourself post-workout, massage this shower oil on and let its plant-based extracts revive your sore muscles. You don't have to worry about fragrance irritating your skin—the formula is just about as gentle as they come. Relieve your tired muscles with this cooling spray filled with plant extracts and organic essential oils. Spritz yourself after a workout and enjoy its minty, refreshing aroma. Only have time for a brief refresh? Grab these gentle face and hand cloths for a quick fix. Made with vitamin E and aloe, they're fragrance-free and hypoallergenic—all things we appreciate in a beauty buy. Meet the only body oil Byrdie's wellness editor, Victoria Hoff, uses. This hydrating blend of botanical ingredients will balance and restore your skin after strenuous activity. When you're working out, your body is subject to all types of germs (just think about how grimy those machines and studio floors get after a busy day). Sweat plus germs plus acne don't mix. To combat flareups on the go, spritz this acne-fighting body spray on. It dries quickly and is made with salicylic acid (an ingredient dermatologists recommend for acne-prone skin). Another mist our editors enjoy after a vigorous sweat session? Dermalogica's soothing lavender-scented formula. It's formulated to layer a protective barrier on your skin to keep environmental stressors at bay. These individually wrapped oversize body wipes are pre-moistened to help deep-cleanse your skin post-workout. Best of all, they're free of alcohol, phthalates, mineral oil, sulfates, and other harsh ingredients known to irritate skin. This stuff is highly praised by Byrdie's assistant editor Erin Jahns. It's an herbal pain-relieving gel that has a cooling and heating sensation to the skin because of its blend of menthol, camphor and capsaicin. You'll be able to ease your tight muscles and pain with this creamy goodness. 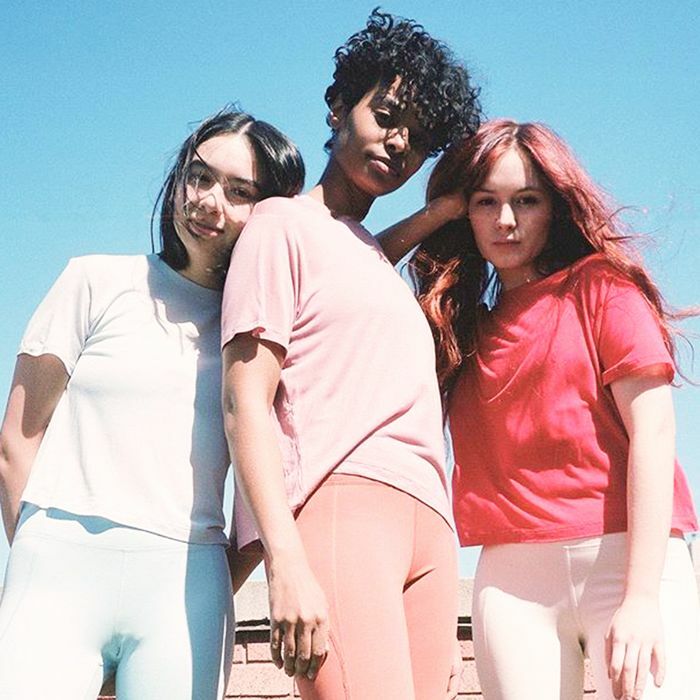 Up next: check out the cruelty-free deodorants Byrdie editors love for every sweat level.